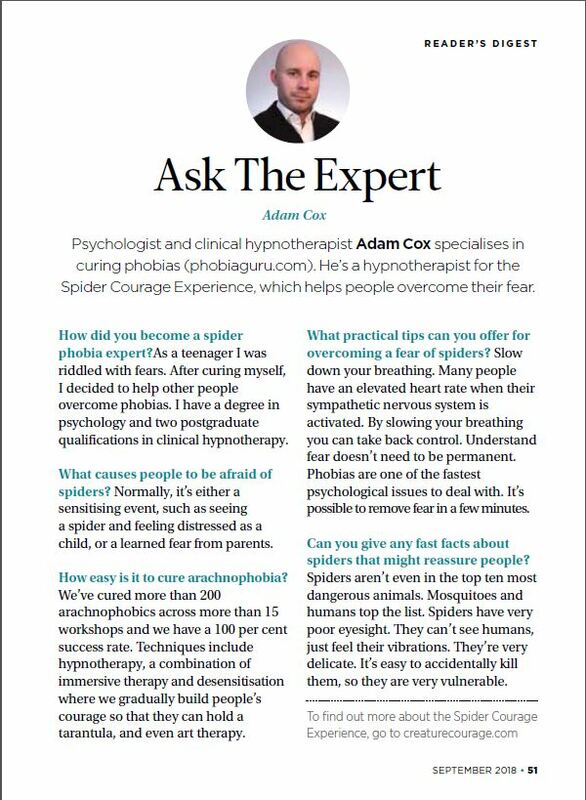 My name is Adam Cox and I became famous for curing people from their lifelong phobias in a single session. The name Phobia Guru came from members of the media based on my results and so I now use this name for my brand and 7 day phobia removal system. Although I work with clients every week in my Harley Street clinic in Central London not everyone is in a position to work with me either privately face to face or via my Skype sessions for international clients. Since I have more people wanting to work with me than I have available hours in the week I decided to create a system that could work without my direct involvement. My private therapy fees for a single 90 minute session is £245 so this system represents excellent value for money and makes my services available to a wider audience. Although I'm often described as confident, courageous and brave now this wasn't always the case! When I was 18 years old I experienced anxiety and phobias that crippled my life. There was a period of about 8 months where the anxiety become so severe that I became a recluse not leaving my studio flat for days at a time. Every time I would prepare to leave the door my heart would race to over 150 beats per minute and I would shake uncontrollably. I would only leave the flat at night for essentials at the nearby supermarket and then return immediately. Although I was meant to be studying psychology at university I wasn't attending classes. I had effectively created a prison of my own making. This lead me to consider two futures. A future where I was crippled by fears, phobias and anxiety or a future of freedom. It lead me to pursue a journey to cure myself. That journey took months of reading every book, articles and method of dealing with fears and anxieties. Eventually through a long period of trial and error I managed to remove every fear and phobia I had and each phobia and fear I defeated my confidence and courage continued to grow. This system is the result of not only that long journey of research, discovery and using myself as a guinea pig but several years of curing hundreds of severe phobics from crippling fears. Simply put if this system was available when I was 18 years old I wouldn't have had to endure months of misery, anxiety and frustration. What is the 7 Day Phobia Removal System? The 7 Day Phobia Removal System is a structured way of defeating any phobia in just 7 days. The system starts with a 45 minute video where you will learn the science behind your phobia followed by an online course. The first part of the online course is an exercise that elicits the very foundations of your fear. Everyone of my clients had their fear for years and sometimes decades before the phobia was defeated. Naturally they were skeptical of removing their fear in a single session. The reason why I can get results so quickly is that I use the right methods for each individual and I check the response and change my approach. While this works when I'm working with clients one on one it's not possible to use this approach when working with clients via a series of downloads, videos and the online course. This is why the 7 Day Phobia Removal System uses ALL the different approaches that I use with clients. This way even in only one of the tools is effective it's still enough to cure the phobia. While these approaches are second nature to me they are new to many so I'll describe each of the parts of the system in detail. This is a 45 minute video that showcases my presentation on The Psychology of Fear and Phobias. For many people it helps to understand what a phobia is and how the brain creates feelings of anxiety at a biological level. Once you understand what is going on inside your brain and in your body you'll be able to use tools to lessen the impact of the anxiety. I have presented this talk to thousands of people and the feedback is always the same - "This Has Helped Me Manage My Fears!" Are we born with Fear? This video is available separately for £30. Alternatively it's included in the 7 Day Phobia Removal System for just £99. This is an online course where you'll be taken through the process of removing your phobia. It's also available as a printed workbook. You'll go through the course day by day and at the end of the course you'll be free of your phobia. The course supports the video and knowledge is power when it comes to becoming free of a phobia. It will take on a fast track journey of the knowledge that I learned to become free of my phobias. You'll learn in 7 days what it took me 2 years to learn. Understanding the triggers for your phobia. Understanding the symptoms of your phobia. What is flooding and how to you use it? The role of belief systems. Cognitive Disonance and Self Efficacy and how to use them to break phobias. What is NLP and which techniques work with phobias? How can Hypnosis defeat a phobia? How to stop a phobia from coming back! On Day 2 you'll be listening to a hypnosis audio session professionally recorded to take you back to a time when you felt a feeling of courage. Courage is essential to defeat fears and phobias. You will then have that feeling of courage amplified and we'll create a trigger based on the psychological principles of conditioning and the NLP principle of anchoring. NLP stands for NeuroLinguistic Programming a system of modelling successful strategies from some of the pioneers of rapid change therapy. This will enable you to access the resourceful state of courage at the exact moment in times when it's most useful. This is particularly useful for people that have phobias linked to a particular event such as public speaking or flying but can also be useful for simple phobias such as animal phobias. The anchor is so useful that many of my clients admit to using the method whenever there is a situation that they want more confidence or courage and not just to help deal with their phobia. This hypnosis audio download is available for £30 separately but is included in the 7 Day Phobia Removal System. In the 1970's and early 80's a little know system was created. It shocked people at the time because it could take someone that had experience a lifelong phobia and within an hour they no longer had that fear. Originally it was called the Fast Phobia Cure but over time evolved to become the staged dissociation technique. In this 45 minute download you'll go on a journey where you'll visit three different times. Your past before the phobia existed, the future when you no longer have the fear, and the near past - the most recent time when you experienced your phobia. You will be then led through a series of thought techniques to essentially rewire the neural pathways that link the trigger with your fear. You will then see how your present changes to become empowered to act without fear in the presence of the stimulus that used to cause your phobia. 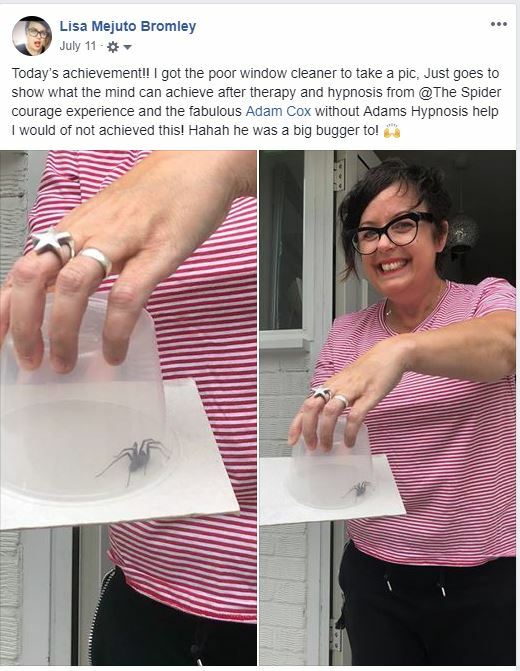 It's a powerful technique that I use with many of my phobia clients that get's rid of their phobia and permanently! On Day 4 we'll be handling the part that is responsible for your fear. In the video above you'll see a man that is conflicted. A part of him really wants to be courageous and jump into the lake and yet another part is telling him not to do it. This is what happens when you have two conflicted parts. The part responsible for protection is influencing the part that wants to be free of the fear. On day 4 you'll be listening to a hypnosis download specifically to negotiate with the part that is trying to protect you. Once the part understands that it can protect in a better way then it no longer needs to perceive the stimulus as a threat. In many cases the part responsible for protection actually makes the situation worse. I've had clients that are afraid of spiders tell me that they've nearly crashed a car when they saw a spider suddenly appear from a mirror in the car. This protection instinct could actually lead to the death of many people as it's hard to drive when you're experiencing a panic reaction. Once the part can help in a better way then it no longer stops getting in the way. You're only born with two fears. The fear of falling and the fear of loud noises. That means that your phobia was learnt, either by a sensitising event or from someone around you such as a parent or sibling. On day 5 this hypnosis audio download will take you back to the point of your life when you're phobia was created. It will address that you're current reaction is completely rational and understandable but no longer useful. Once we resolve the issue at the point of inception in then has a ripple effect throughout your life so that you no longer feel the fear in the present or future. It's a powerful hypnosis technique that can and will be life changing. £99 Is Worth My Freedom! One of the biggest breakthroughs a phobic can make is when they accept that the problem isn't with the stimulus or trigger but with the thoughts they make inside their own mind. Most phobics are excellent at making pictures inside their minds eye that absolutely terrify them. When I used to have a phobia of public speaking I used to make mental images of a large audience staring at me and looking unimpressed or even worse they'd be evaluating me in a negative way. It was these mental images that caused the feelings of anxiety and I was inadvertently mentally rehearsing how to feel anxious talking in front of an audience. I'd had client's that have avoided flying for years because they imagine themselves trapped on a plane having a panic attack or worse being on a plane while it's crashing or experiencing volatile turbulence. It's the thoughts that cause the high levels of anxiety and in this NLP protocol you'll be training your brain to think about things in a different way. The cause of the anxiety will actually trigger you to feel confident, courageous and empowered rather than the anxiety you used to feel. On the final day you'll be doing the crucial final step of the process. By using the principles of cognitive dissonance and self efficacy you'll be taking specific action to re-evaluate your identity. Many people try to tackle their phobia by managing their environment (avoiding the stimulus) or behaviour (facing the fear). While these tactics may have some impact it's important to influence higher logical levels. 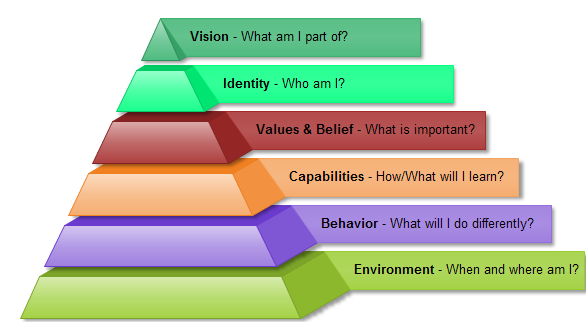 At this point you've developed new capabilities, beliefs and values and the final step of the process is to have a new identity and compelling vision of the future. When I was 18 I was paralysed by fear and now I'm known as a person of courage and adventure. Through my journey of defeating my fears I had created a new and more powerful identity. This hypnosis download will help you take the vital final step to ensure that this is a permanent powerful change. Many of my phobia clients report occasional or regular panic attacks. These panic attacks can last from just a few minutes to about an hour. This is a download designed to be available at short notice. You can have it on your phone or MP3 player so you can listen to it whenever you feel that a panic attack may be starting. This becomes a tool so that rather than being a victim of a panic attack you instead learn how to ride a wave of temporary anxiety. The more often you successfully ride the wave then the lower the intensity of panic attacks and the less frequent you become. It uses a wave metaphor because just like a wave in the sea, panic attacks are temporary and can only come in waves. If you were to stand and fight a wave on the shoreline it may knock you over, but swimming into a wave you simply move with the wave. It loses all impact! This bonus download may never be needed but if it helps manage a panic attack even once then it's worth the entire value of the system. As one of the UK's most in-demand hypnotherapists I'm regularly asked to help people break their undesired habits. From biting nails to smoking, from snacking to watching too much TV. 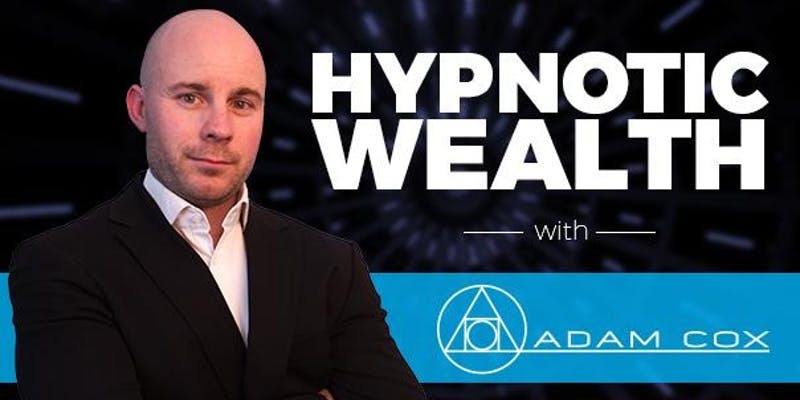 This hypnosis protocol takes you through a process to disassociate from the pleasure of your habit and associate into the long term consequences of your habit. Most people naturally do the opposite. Think of a smoker. They know that the long term consequences of smoking could be diseases such as lung cancer or heart disease but they distance from that and instead focus on the short term benefits such as the relief of cravings going away, the social aspect of regular breaks with friends or colleagues. This 45 minute download will help you break and replace a habit one at a time. Some clients have given feedback that they've used this for up to 10 different habits. The cost of seeing a therapist for each habit many be hundreds of pounds so they are saving thousands not to mention the long term benefits to health and the financial benefits of stopping an expensive habit. After successfully defeating my fears and phobias I then went on to build several successful businesses and build a property portfolio of more than 10 properties becoming a self made millionaire in the process. This wouldn't have happened had I not managed my fears as building a business and becoming an investor requires the ability to manage fears and take calculated risks constantly. 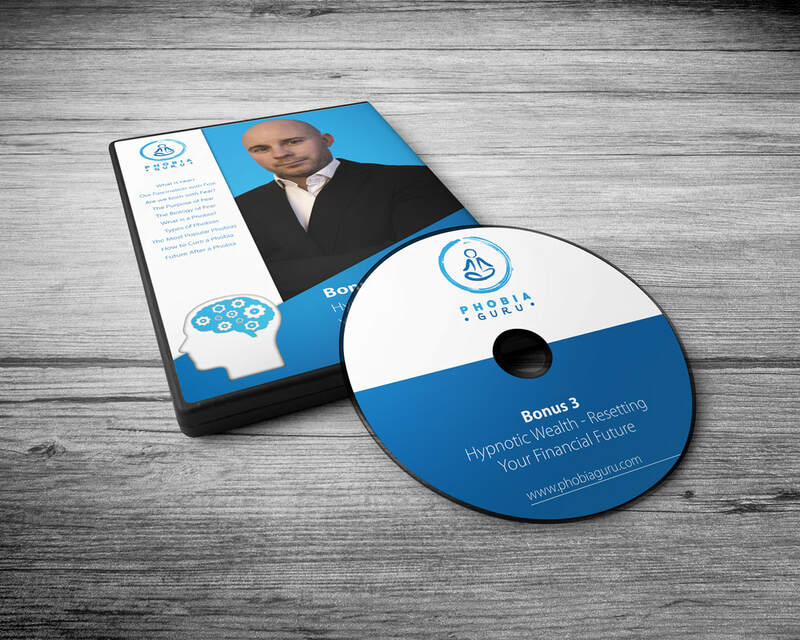 In this bonus download you will visit your own financial future based on your current set point. I believe that our financial futures are a little like a GPS satellite navigation device. It's likely that you're travelling on auto-pilot to a future of either debt or security rather than comfort, luxury or freedom. This download enables you to see your current financial future and decide a new destination for your financial future if you choose to. If this download helps change the direction of your financial future by even just 1% then you'll make back the cost of this system many many times over. Here are just a few videos or messages from previous phobia client's of Adam either through his workshop's, private sessions or the 7 Day Phobia Removal System. I've been very fortunate to have been featured in hundreds of newspapers, magazines, on TV shows and online articles. These are just a few. There are only a few questions that people have asked me over the years. Here are the questions and the answers to help you decide if this is the right system for you! I'm Based in the US Can I Still Work With You? The 7 Day Phobia Removal System will work for any person so long as they understand English. I have many international clients that work with me on a one-to-one basis through a combination of Skype or Facetime and phone. 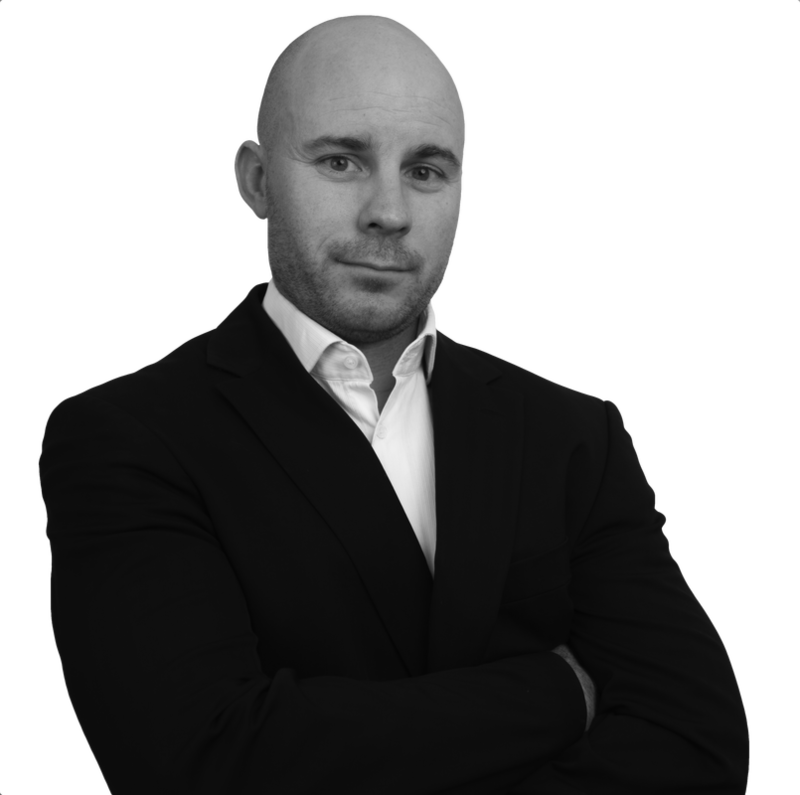 If you're interested in working with me personally rather than through the 7 Day Downloadable system click here to book a free 30 minute phone consultation. Does This Work for All Phobias? Yes, this system has been designed to work on simple phobias where the stimulus causes the anxiety reaction but also on situational phobias such as fear of flying, fear of death or fear of public speaking where an evaluation is required to trigger the anxiety. This system has helped everyone from fear of toilets to fear of public transport. Can I Get This System For Someone Else? Yes, you can purchase this system for a family member or friend. It is only valid for a single user however so you can't re-gift to multiple recipients. Does the 7 Day System Actually Work? In one word - YES! The system has been developed over working with hundreds of phobia clients and thousands of hours of research. I offer a 100% full money back guarantee and up to this point not a single person has asked for a refund. Most of my clients come to me from referrals and recommendations which lets me know that what I do works and genuinely helps people get through their phobia. Everyone can access the type of relaxed state necessary to benefit from this system. If you find that the system doesn't help you remove your phobia then you can claim a 100% money back refund. I'm Currently Taking Medication - Should I Stop? No. If you're currently taking any medication please don't change what you're doing. Continue to take your medication while following the system. Many clients have reported that they no longer feel the need to take medication meant for anxiety after completing this system. Please speak to your doctor or medical professional before making an alteration to any prescription. Can I Use This System For More Than One Phobia? Yes. Many people have more than one phobia and find this system can work for multiple phobias. My recommendation would be to focus on one phobia at a time and to only start the system again with a new phobia once the first one is no longer an issue. This system however is to be only used for one participant. 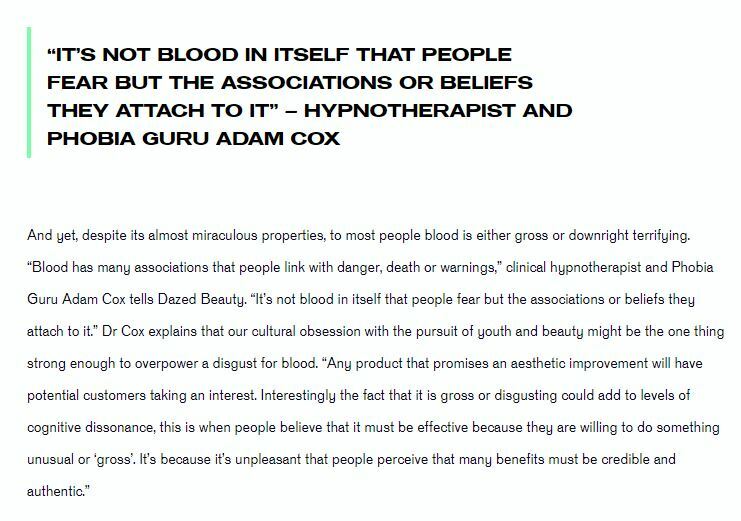 The copyright is held my myself (Adam Cox) and is not transferred or transferable. You can't sell, lend or give this system to any third party although if you are buying on behalf of someone else such as family member that is fine. Can I listen to the hypnosis while driving? No. We recommend that you only use the hypnosis or audio downloads when you're in a place where you won't be disturbed or distracted. These audio downloads are not to be used when driving or using machinery and are only to be used while seated or lying down. Can I Get a Refund If It Doesn't Work for Me? Yes, there is a full 100% money back guarantee within 30 days of purchase. Since it's a 7 Day Course that gives you plenty of time to test the system. If you're not free of your phobia then let us know and we'll give you a full refund.